This mini football from Wilson has a great soft grip that makes it comfortable to toss around for hours at a time. 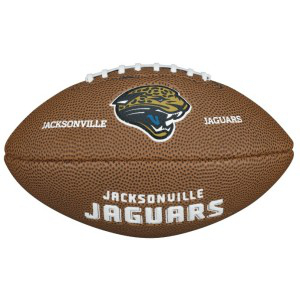 It inflates like a normal football and has a soft, yet durable covering. The ball features printed and debossed graphics of your favorite team. The football measures approximately 9" long and 5" wide. Officially licensed.